How badly do you want to travel full-time on the road? For some, it’s a vague and distant dream on their to-do list. For others, it’s a burning passion. If you have the passion, you’ll make it happen. Last time, we briefly touched on the true cost in travelling full-time. If you’ve ever dreamt of this life, what do you need to consider? Let’s go into more detail. Firstly though, are you a Free Spirit or a Planner? It seems there are two types of people on the road full-time. The first type simply hit the road, then figure out how to afford it as they go. And good luck to them… I’m jealous! These are the Free Spirits. They always seem to get by, picking up part-time work and not worrying about money until it runs out. Free Spirits just make it up as they go along, sorting out money issues as they arise. On the other hand, The Planners spend ages preparing their finances before making the leap to full-time travel. And yes you guessed it, we’re Planners. If you’re a Free Spirit, stay with us here… if only to chuckle at how much we Planners like to plan! Your dream life is out there in front of you. There, but just out of reach. So how can you achieve your dream? Start by figuring out how much money you think it will cost. Go through the steps outlined below. And above all, be realistic. What sort of traveller are you? This is important. Figure this out first. If you like to stay in expensive, family-friendly caravan parks then your accommodation expenses will be significant. You could be paying upwards of $50 per night for a couple. That’s $350 per week. On the other hand, if you prefer bush camping then you can trim your accommodation budget accordingly. National parks are around $10 per night for a couple and there are plenty of free camps available if you’re self-contained. Free camping in the bush beside a river. Maybe you want to go on expensive guided tours or eat out regularly. Again, factor this into your travel expenses. Do you keep moving or are you happy to set up in one spot for a while? This will affect your fuel bill, servicing costs and vehicle maintenance budget. So figure out your style of travel first. This will give you an idea of your weekly living expenses. You probably have an ideal setup in mind. You’ll need to compromise between your ideal setup and what you can afford. Figure out how much it will cost and add 20% for incidentals. You always spend more on your setup than first planned, so the 20% extra should cover this. 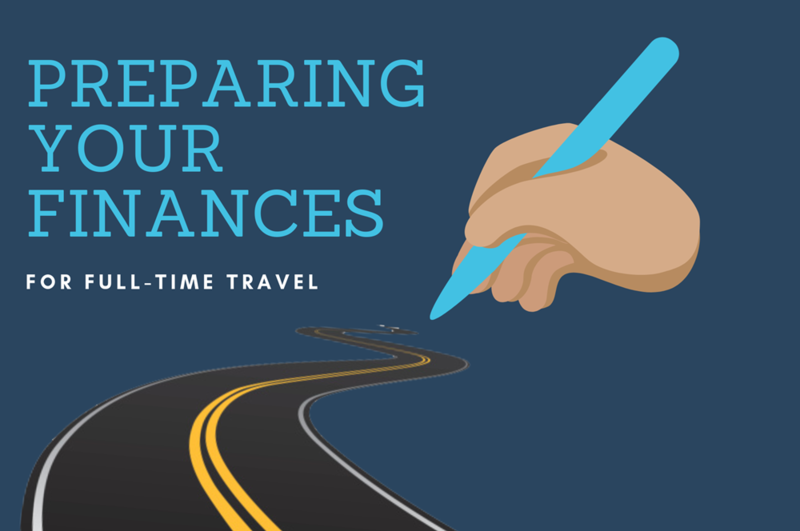 If you’re really lucky, you might already be set up for full-time travel. That’s great. Just factor in future replacement costs if your gear is getting long in the tooth. Many people forget to account for their existing daily driver, second car, motorbike or boat. When the time comes, sell these to help pay for the new setup. A tidy bonus. How will you earn an income? Can you rent out your house? If so, do you have a mortgage and how much is it per week? You’ll need a maintenance budget for unforeseen repairs. What will you do if it’s vacant for a while? Where will you store your contents? If you’re planning to work and travel, what are your skills? Once away from major cities, anyone with a trade or practical hands-on skills is in demand. Say you stop in a town to work for a while. Will it pay enough for you to top up your bank account? Or will your wage just cover your weekly expenses? In this situation, you might be stuck in one place, unable to move. Or maybe all your work is online and you only need reliable wireless broadband coverage. Think about how Australia’s patchy network coverage will affect your ability to earn a living. Also, consider what additional equipment you’ll need to power your electronic devices off the grid. When you start travelling, you’ll need some savings to get you started. How much? This depends on whether you’re planning to find work immediately or have a holiday. Multiply your expected weekly living expenses by the number of weeks you need to live “work-free” and this is your starting fund. Have an emergency fund. Emergencies have a way of sucking your bank account dry. Things like major vehicle breakages in the middle of nowhere, medical emergencies or a family emergency. How will you pay for an emergency? For example, say you fill the fuel tank with contaminated fuel. Halfway across the Simpson Desert, your pride and joy grind to a halt. After a long trip on a tilt tray and open-heart surgery on the engine, you’re faced with a $20,000 bill. How will you cover this? As a guide, save 6 months of income in an emergency fund. So if you think you’ll spend $40,000 per year, save $20,000 before you leave home. Now you’re in a position to figure out when you can start travelling full time. Gather together your list of weekly expenses, and your expected income stream. You’ll instantly know whether you need to work while travelling. And here comes the scary bit. Add together the savings you need for your setup plus your emergency fund plus your starting fund. Let’s say this comes to $75,000. Then figure out how much you can save per year to reach these goals. Be realistic. Let’s say you can save $15,000 per year. So you’ll be off and running in (75,000/15,000 =) 5 years. This is the magic date… the date when you can start living your dream life.